Whether your garage needs a tune up, or it’s an emergency, we’re here for you. If you're looking for garage door repairs from a local team, we're the ones to call. We have vast experience and can tackle any job! Have you noticed that your garage door isn’t working quite like it used to? The problem may be with it’s spring. We can get it repaired or replaced easily! Learn more here. 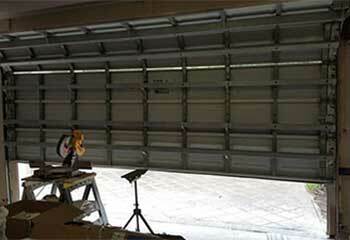 Different openers will have different levels of horsepower, which can affect how well your garage door works. Picking the correct amount of horsepower for your needs is important. That's why our experts are the best ones to consult on the matter. We can also handle any potential problem, and you'd be wise to call us if the need arises. You might think that you can keep putting off that garage door maintenance for another day, but its parts need care to keep working properly. Our team is ready when you are! Read on here. Don’t put the maintenance or repair of your garage door at the bottom of your to-do list! Instead, contact Garage Door Repair Saint Paul, your local go-to repair specialists. Using high tech tools, our team of experienced technicians will have your garage door running smoothly in no time at all, whatever the make or model. As the old saying goes, don’t put off today what you can do tomorrow! You know it makes sense. 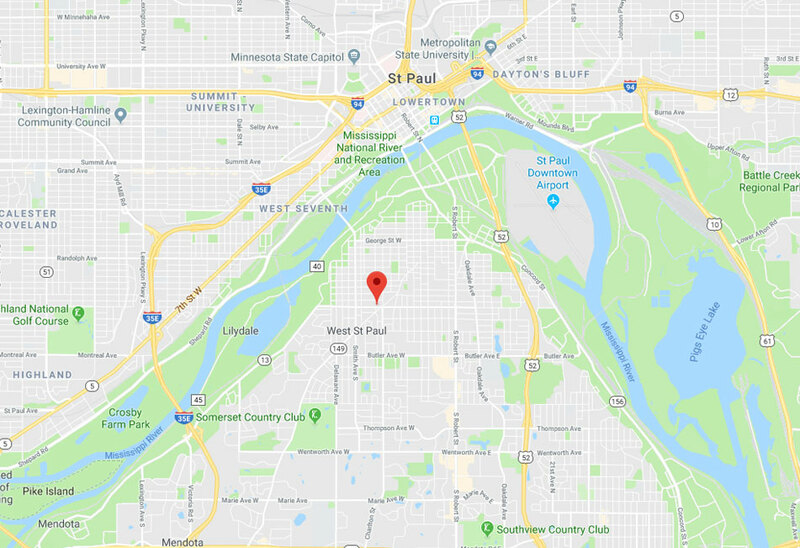 If you live between West Saint Paul and Mendota Heights and are looking for a replacement door or simply a new garage door opener, then our team of local experts is here to help. Regardless of the make or model of your door, you can rest assured that all our work is carried out quickly and to the highest specifications. For quality work that you can count on, contact the professionals today. A door that doesn’t open or close properly is not only a hassle but also a potential safety hazard. What’s more, the longer you ignore the problem, the worse it can become. So don’t delay, contact our team at South Saint Paul to help with all your garage door issues including broken springs, faulty openers, damaged panels and more. 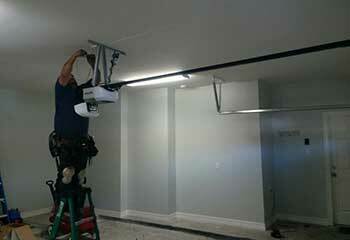 Rest assured that once repaired or replaced, your garage door will soon be operating to its full potential. 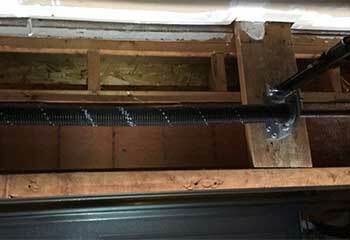 You need to think twice before you attempt to make any DIY repairs to broken garage door springs. Before you go ahead, consider the risks. Tension and pressure combine to make your garage door open and close, which means a broken torsion spring can very quickly become a projectile and harmful object. It is this that can make amateur repairs potentially dangerous. Our Maplewood to Roseville team, on the other hand, is experienced in all types of spring repairs and will make sure that your door is operating smoothly and safely. 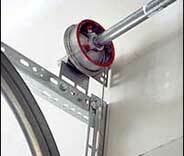 Take control now to prevent yourself from costly future garage door repairs. For peace of mind and confidence that your garage door is in good hands, contact your local team at Garage Door Repair Saint Paul. If you live in the Little Canada area, very soon your problems will become a thing of the past. 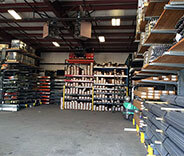 Garage door parts approved by well-known manufacturer brands. 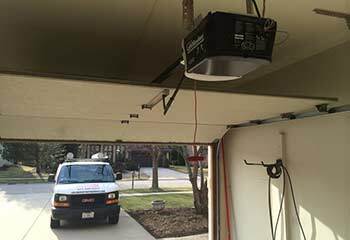 Take a look at our informative latest projects page for some successful garage door and opener installation and repair stories. This customer's opener remote was no longer working, so we took a look to determine the problem. Read more here! We helped this customer decide on a new opener that they purchased from us and installed it for him. Discover more here! Find out how we provided assistance to a customer whose door almost collapsed entirely. 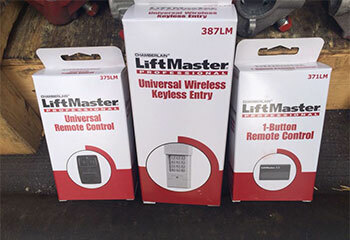 Try us for garage door opener replacements. We have a broad range and the skills to get the job done in a few hours! Our customer wasn’t sure why his garage door wasn’t working, but we were on site within minutes to help with repairs. Read on to find out how. My door opener was struggling more and more each day so I called this company for help. Their technician fixed the problem fast and now it works like new. They're the best garage door company around! Our cat destroyed the release cord to our garage door and the technician from this company put in a new one in just minutes. It's reassuring to have them to call when you need professional service. My garage door was making terrible noises and the service technician from this company was fantastic. He replaced the door rollers and now the door works perfectly. Can't thank them enough! I had an issue with my garage door and the technician from this company came out quickly to fix a problem with one of the cables. They are indeed specialists and I'm very thankful for their service! After discovering this company, I call them twice a year for maintenance on my garage door. I have peace of mind because it never breaks and the cost is very affordable! They are the best! When I opened my overhead door it kept sliding back downward. I called these guys and their technician adjusted the spring tension and fixed the problem completely. Thanks for great service! This company replaced my broken garage door springs fast for a very affordable price. They gave me great service & were honest, professional, and my door works like new again! I absolutely love the new garage door you installed for me. The compliments from my neighbors, friends, and family have not stopped coming. Thank you! My door wasn’t opening fully, so I called your company for help. After checking and finding the springs to be the issue, your technician replaced them in no time. I’m very satisfied with your service! Your company replaced my damaged track recently and your technician did an excellent job. I also found your pricing to be affordable. Thanks a lot!